Skrill is an easy, on-the-go alternative to regular banking and payments, and that’s why we support it as one of our payment methods to buy Runescape gold! Interested? Follow the steps below! Registering for Skrill only takes minutes, and it starts by heading over to https://account.skrill.com/signup/ . Once you’re here, fill in your email, password & password confirmation and hit ‘Next’ and continue filling out with the given fields. Now you’re officially a member of Skrill, and it’s time to get your RS Gold! First, jump on https://www.rsgoldmine.com/buy-runescape-gold. Once your there, use our specially designed interface to select your type of RS Gold (RS3 or OSRS), as well as the quantity. Once you’re happy with your selection, find and click the ‘Buy Now’ prompt at the bottom of the interface. You’re so close to the Runescaqpe Gold, just a little more! In this checkout page, have a look through all our payment selections, and select ‘Skrill.’ If you’ve got any coupon codes or promotional discounts, right now is perfect to enter them in. Once you’ve doubled checked everything, press ‘Checkout’ in the bottom right. A new tab will open, and this will be the time for the Skrill payment. Simply enter in your Skrill details, complete any final confirmation, and here we are – the time you get your Runescape Gold! You’re finally here! To receive your RS Gold, head over to our live chat widget in the bottom right hand side of our webpage. You should now be connected to one of our live chat representatives, who’ll take it from here. Any more queries? Simply ask our live chat team (Don’t worry – they don’t bite!) 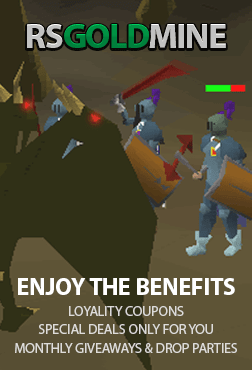 Enjoy your Oldschool Runescape Gold!